Cumbersome restrictions and limitations on mobile devices, apps, and remote access can be taxing from an IT perspective and frustrating for your employees. Your users need to be able to create, access, and share files from anywhere, and IT needs to ensure that these actions won’t compromise your company’s security. To classify documents using AIP, you must first configure your company’s classification policy. Configure the policy by signing in to the Azure portal as an administrator and then select Azure Information Protection in the apps list. All AIP users start with a default policy that you can configure to suit your needs. Once you have created the policy that works best, publish your changes to deploy the policy to all managed apps and devices. Microsoft Teams—a chat-based workspace—enables teams to be more productive by giving them a single and secure location that brings together everything a team needs all in one hub, including chats, meetings, calls, files, and tools. Azure Active Directory (Azure AD) conditional access policies can be configured to secure the data in Teams. You can deploy Teams through Microsoft System Center Configuration Manager (ConfigMgr) or Microsoft Intune. Yammer helps your users improve engagement with everyone in your organization through social networking. Use the security features in Yammer to help protect sensitive organizational data. Yammer supports Azure AD single sign-on authentication, allows admins to set password policies, and provides admins with session management tools that let you see the devices users are signed in to. You can manage access and permissions in Yammer by setting up the Yammer network to comply with your organization’s standards. To work more securely across different devices you will need to manage your mobile devices and set app protection policies. You can use Intune to manage your users’ mobile devices. To help prevent data loss, you will want to protect company data that is accessed from devices that you don’t manage. You can apply Intune app protection policies that restrict access to company resources and avoid company and personal data from getting intermingled. Company data can end up in locations like personal storage or transferred to apps beyond your purview and result in data loss. App protection policies can be used to prevent company data from saving to the local storage of an unmanaged device or moving the data to other apps that aren’t protected by app protection policies. Classify and share documents securely—Classify documents in AIP to track and control how information is used. Then share documents securely via third-party applications using Microsoft Cloud App Security to protect your information. Prevent data loss on mobile devices—Manage mobile devices with Intune and through mobile device management. Then implement app-level controls with Intune app protection policies to help prevent data loss. Plan for success with Microsoft FastTrack—FastTrack comes with your subscription at no additional charge. Whether you’re planning your initial rollout, needing to onboard your product, or driving end-user adoption, FastTrack is your benefit service that is ready to assist you. Get started at FastTrack for Microsoft 365. Coming Soon! “Using controls for security compliance” will be the last installment of our “Deploying intelligent scenarios” series. 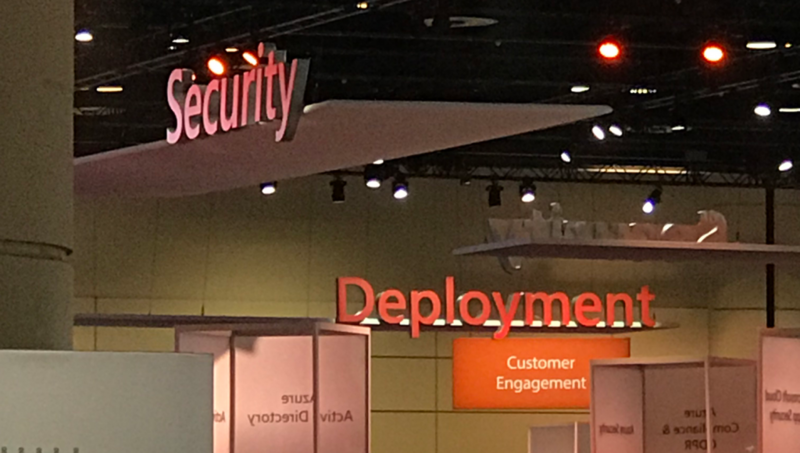 In November, we will kick off a new series: Top 10 security deployment actions with Microsoft 365 Security.